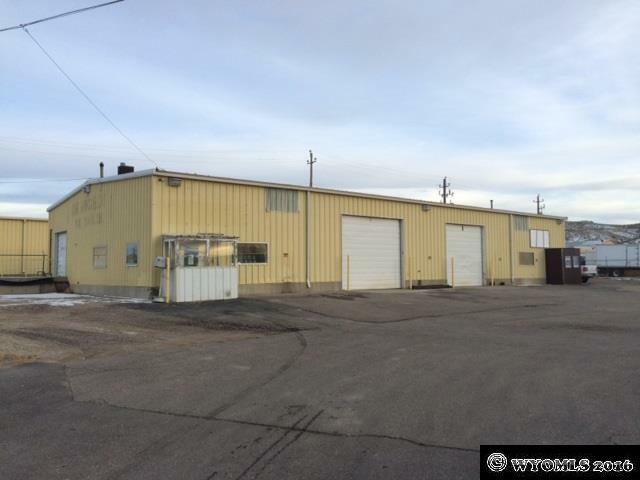 Unlike any available industrial building in Southwest Wyoming. Over 30,000sf of top notch industrial space. Easy access to I-80 and WY Hwy 191 South. Building consists of: 8-16' and 2-10' electric bay doors, 2-15 ton cranes and 6-5 ton jib cranes, shop floor rated for 100 tons, explosion containment room, paint room, fire suppression sprinkler system, 11 offices, 2 full kitchens with appliances, and security system. Adjacent land has potential for rail access.